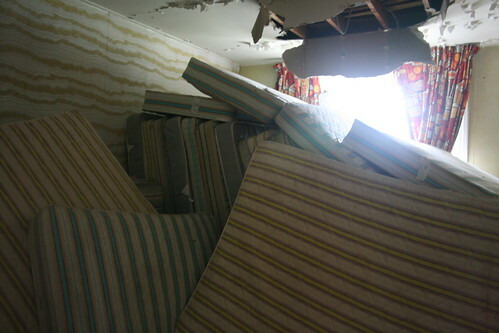 It may lack a complete ceiling, but it's filled to the ceiling with mattresses. This gets back to my point that Catskills hotels breed hoarders. As if any of these mattresses are in a condition to be re-used? Then again, the Orthodox clientele wasn't exactly known for high standards of cleanliness.